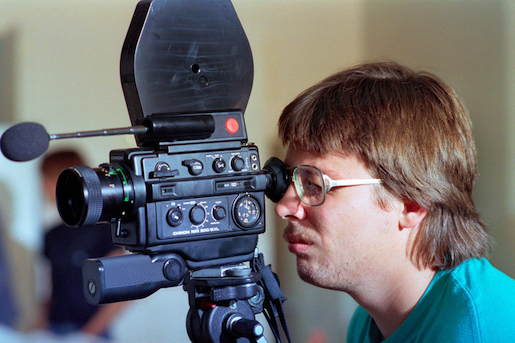 If you’re involved in making no-to-low-budget direct-to-video movies, you almost certainly know who J.R. Bookwalter is. J.R. — who folks tended to call “Big Daddy” during the days when I worked with him at Full Moon Entertainment — was a pioneer in the shot-on-video movement, not to mention the distribution of indie flicks. Although he doesn’t do a lot of interviews these days, J.R. was kind enough to take the time to answer some questions for Cheese Magnet readers. SP: Let’s start with a little background – you were, of course, the typical movie-nut kid making Super-8mm flicks in your yard, right? JRB: But of course! My mother used to film my sister and I growing up in the late ‘60s and early ‘70s, and around 1978 my school chum David Barton and I dug up her old Super-8mm film camera and used it to create silly movies of us being attacked by a pile of leaves or poorly animating STAR WARS action figures. After seeing some graphic photos of DAWN OF THE DEAD in FANGORIA #1, I kind of ditched the sci-fi stuff for the most part and focused on zombies and splatter as well as non-horror music videos, which were my two interests throughout high school. SP: Were your parents supportive of your filmmaking schemes and dreams? How about your friends? SP: I first became aware of you thanks to an article about THE DEAD NEXT DOOR in Fangoria magazine – I think you were 18 at the time, and I still remember how cool it was to read about a guy a few years younger than me making movies. I know it’s a bit of a long story, but can you distill the history of THE DEAD NEXT DOOR for us? SP: After THE DEAD NEXT DOOR, you became involved with Cinema Home Video and started making movies for them, right? How did that happen? THE DEAD NEXT DOOR was still unfinished at that point, wasn’t it? JRB: Post-production on DEAD dragged on for a number of reasons, so I was keeping busy recording local bands and shooting wedding videos, anything I could do to keep the meager rent on my office paid. 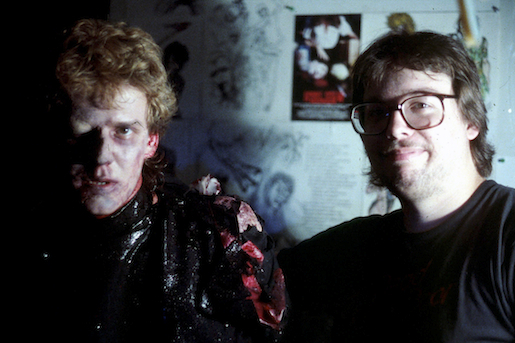 By the end of 1988, we had a finished, locked picture but no sound mix, and my old pal David Barton invited a mutual friend of ours, Dave Lange, to come out to L.A. and work on a film he was doing makeup effects for. Dave wasn’t so keen on taking the Greyhound bus cross-country by himself and I had nothing else going on, so I joined him just for fun, which ultimately led to spending a few months out there finishing DEAD at a sound house in Hollywood which was also used by the same filmmaker making the flick they had just worked on. So, I wound up pitching myself as a director and that ultimately led to ROBOT NINJA, SKINNED ALIVE and a “six-pack” of shot-on-video flicks that today make up the Bad Movie Police series. SP: How many people were making SOV flicks at that time? It was still fairly unusual, wasn’t it? SP: What led you to form your own distribution company? JRB: Really just the frustration of seeing it done poorly, in my opinion. I’ve always been one of those idiots who felt I could do anything I set my mind to, so I just decided that I could be a distributor, too. (laughs) First it was selling the Cinema Home Video stuff we were producing to video stores in Ohio, then later doing mail-order and convention sales direct to B-movie fans and ultimately releasing my own stuff and titles I’d pick up from other producers in the same boat — and boy, did there wind up being a lot of them! SP: As I recall, at some point in the post-production phase of THE DEAD NEXT DOOR, you moved to Los Angeles, then back to Ohio – can you tell us a little about that experience? JRB: DEAD was actually completed by then… in early 1990 the first wave of Cinema Home Video stuff had kind of dried up, so I decided to head west and see what I could make happen. CHV caught wind of this and commissioned me to edit the SHOCK CINEMA stuff for them, which was great because I had a few months of work right away to keep me from living on the street. I wound up being there about a year and a half before deciding to pack my bags for Ohio with the intention of making shot-on-video features there. Once again, CHV caught wind of my crazy scheme, so we cut a deal for KINGDOM OF THE VAMPIRE and ZOMBIE COP, which became the first set of movies in a deal that would ultimately span six movies in seven months, by which time I was ready to throw in the towel on the whole film biz — and almost did. SP: Six movies in seven months sounds like pure insanity – I was barely able to survive making one movie over the course of a year or so. How did you manage to pull off such a feat? JRB: Cinema Home Video originally wanted 12 of them in a year! (laughs) We shot them in pairs and tried our best to do it factory style… a week to write the script, a week to prep it, a week to shoot and a week for post. Obviously that wasn’t a hard and fast rule and there was a lot of carryover in terms of cast and locations to make it happen. Things were complicated on the first day of shooting because I broke my knee and had to direct the remainder of KINGDOM OF THE VAMPIRE from a wheelchair, which was kind of a problem since I was supposed to be actually shooting the movie as well. Thankfully my co-producer Scott P. Plummer stepped in and picked up the slack, but we were pulling script pages just to get through it and wound up with a 45-minute first cut, so ultimately wound up going back and reshooting that stuff to get the running time to over an hour, which was a requirement. 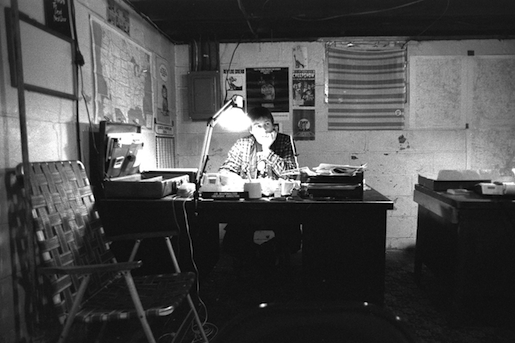 SP: Your book B-MOVIES IN THE 90s AND BEYOND was a huge source of inspiration to me – the fact that you and your friends were essentially running a filmmaking studio in Ohio and more or less doing things your way was unbelievable to me. I think at that time the only other guy I was really aware of who was doing something similar was Don Dohler, in Baltimore. What were those days like? JRB: Not as cool as they probably sounded, to be honest! 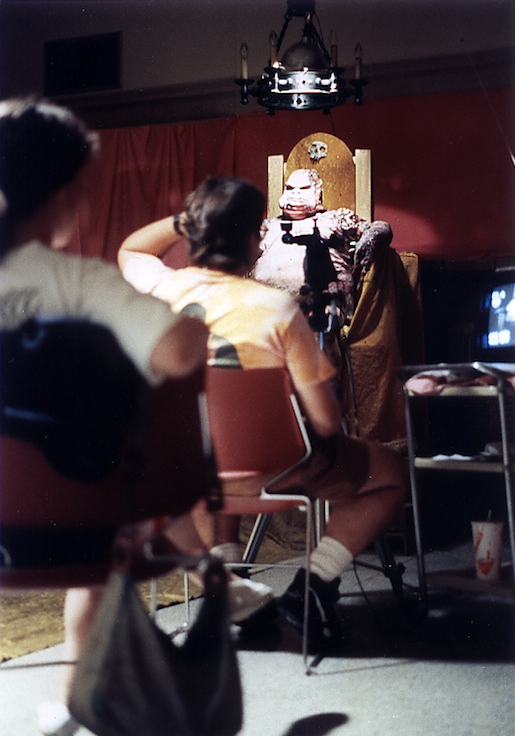 (laughs) I think all of my colleagues back in Los Angeles viewed me as some kind of leper for making these crazy little Super-VHS shot-on-video projects, but it was certainly liberating to be more in control of your destiny. The biggest problem was that I really wasn’t making the movies I wanted to make — the bulk of my work has been work-for-hire, which means a certain amount of compromise, a situation that would come back to haunt me again later with Full Moon, ironically. I’ve always had a tendency to put my best scripts on the shelf and say, “It’s not the right deal, but I’ll get to you eventually.” Which of course, rarely worked out over 20+ years. SP: Somewhere in the midst of all this, you also began publishing ALTERNATIVE CINEMA magazine, didn’t you? How did that come about, and what was the fate of the magazine? JRB: Alternative Cinema was sort of a natural extension of this newsletter I was doing for the mail order business called The B’s Nest. To be honest, when I was young I had equal interest in making movies and publishing magazines. So AC was a way to blend the two interests and help sell the movies Tempe was putting out, all in one tidy little package. Ironically, it was probably the easiest thing I’ve ever done in terms of impressing people — it found an audience right away and by the third or fourth issue, we even had national newsstand distribution through Borders and Barnes & Noble. I had a blast doing it for a year or so, but ultimately it got in the way of my first love, making movies. I made the decision to sell it while there was still some value in it and walk off to Hollywood in the hopes of pursuing things at the next level. The magazine continued for awhile on and off, but it was heart-wrenching to watch it get ruined by E.I. — they ultimately drove it into the ground and just kept the name around for their own mail-order business. SP: I followed your career all along, and I remember OZONE being a project where it seemed you felt you were sort of picking yourself up and dusting yourself off, and you certainly came out swinging with that film. Can you talk a little about what led to that project? SP: You moved back to Los Angeles in the mid-90s, right? Is that when you joined forces with Charlie Band? SP: As a fellow filmmaker, I know it can be tough dealing with that point where you sort of hit the wall in your ability to tolerate the frustration and heartbreak involved with making movies, where that stuff starts to outweigh the fun. Based on my own experience, I’m guessing you can recall the exact moment that happened – which project were you working on when you started to think it might not be worth all the trouble anymore? SP: Do you ever think about tackling another film “just for fun,” just to see if you can recapture what made you fall in love with making movies back when you were a kid? JRB: Well, the reality is that it was never actually “fun” to begin with — maybe back in the days of doing those Super-8mm short films, sure, but making any feature is hard work and long hours, even if the final product is ultimately disappointing. My problem was that I’m a pretty hands-on guy — flicks like OZONE, I wound up co-writing, directing, producing, shooting, doing explosive effects, editing, sound, you name it. It’s freaking exhausting, especially when you have very little in your bank account to show for that effort afterward. When you’re young and naive, the money doesn’t matter — you can survive on Taco Bell and live with your parents, but if you have any desire to have a “normal” life with a wife and kids and a mortgage, at some point it has to be about the money, otherwise you’ll never survive. I’ve been fortunate to make a good living at mostly doing whatever I wanted over the years one way or another, but honestly, very little of that has come from actually directing movies, so I figure that sort of speaks for itself. Maybe I’m just old and lazy now, but there are easier ways to make a living. (laughs) All of that said, the old adage “never say never” applies… if the deal and the situation were right, who knows? SP: Which of your films is your personal favorite? SP: You’re currently doing a lot of freelance work, aren’t you? Can you tell us what you’re up to these days? SP: Where can Cheese Magnet readers find your films? 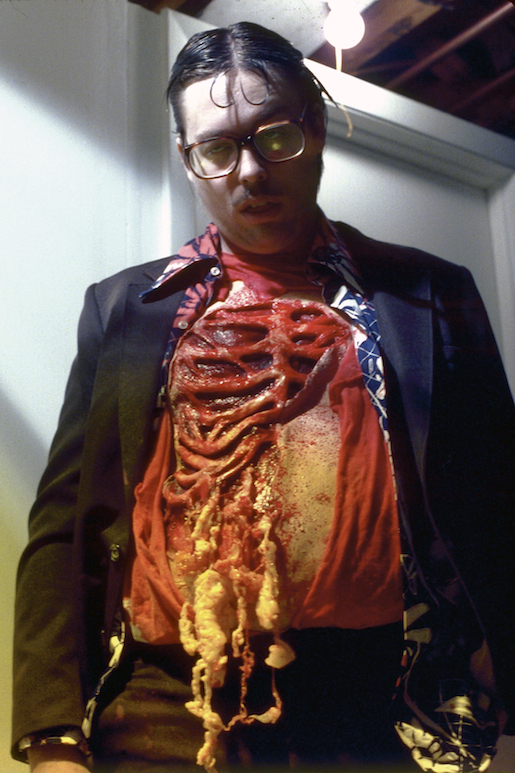 Please check out J.R.’s films — I heartily recommend The Dead Next Door, Ozone and Polymorph, in particular. For more low-budget movie madness, pick up my book Unsafe On Any Screen, available for Kindle, Nook, iBooks, Kobo, Sony eReader, and in paperback.